Content is fine but wrong choice for narrator. 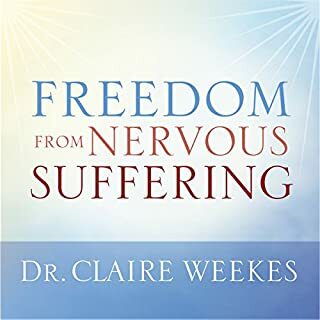 In this eight part radio series, Dr. Weekes speaks with the listener intimately and compassionately about how to overcome anxiety, frustration, phobias, and depression. 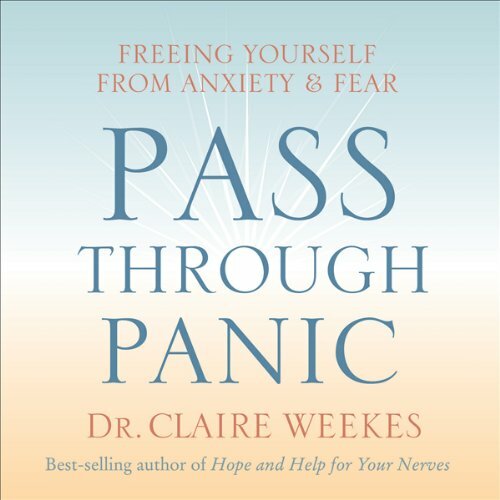 She coaches the listener on how to pass through panic and reach a place of strength and optimism. Her revolutionary approach is remarkably simple and effective and continues to be recommended by both medical and psychological communities throughout the world. 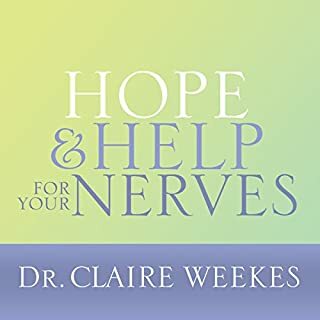 Dr. Weekes speaks with an easy and gentle voice. This is no lecture from a highbrow intellectual. This is real help from a someone who cares about the people she speaks with. She says that she has spent her professional life devoted to treating many people with anxiety disorders and that comes across in her presentation. She does not sound like someone reporting from cold research. These are the nuggets from her experiences. Her advice is simple and easy to integrate into your daily habits right away. The simplicity of her ideas does not dilute their power. I feel confident in saying that you will gain a lot from listening. 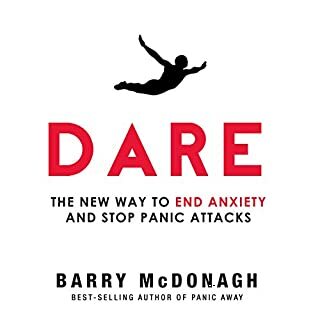 This is by far the best book I've ever read on anxiety disorders. 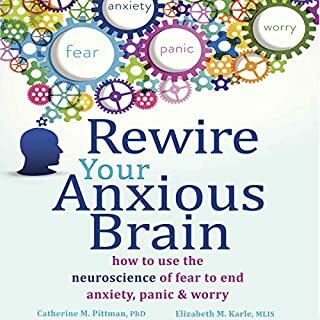 It thoroughly explained the 3 different stages of anxiety, specific anxieties and how to deal with acceptance, the anxiety cycle, negative thought processes and more. 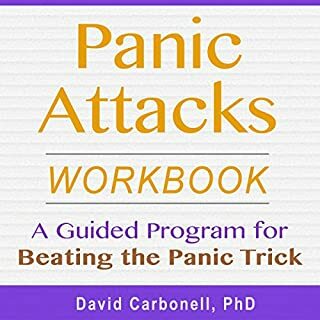 For someone who has been dealing with a generalized anxiety disorder for the past 5 years, finally, someone can explain exactly what I'm going through! No doctor or therapist has ever explained it like this. Her advice is short, sweet, simple and to the point. I beleive will be effective for the vast majority of people who are willing to accept this simple shift in approach. Read this before you spend lots of money on expensive therapy. Well worth the money! I went through this 30 years ago. It isn't perfect but it kept me sane for those years. My anxiety and depression are back, but listening to the Dr. from down under, help me calm down again. Haven't found anything beetter to deal with panic attacks. What did you love best about Pass Through Panic? It will help you understand the causes and problems associated with stress and anxiety. 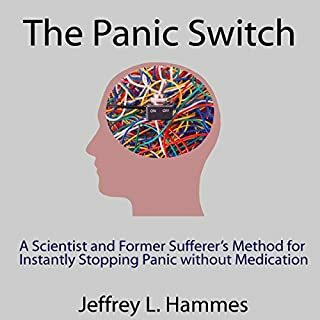 With the understanding it helps guide you through the panic to eventually reducing it and hopefully eliminating it. Honestly it helps a lot. The cost of this could be doubled and it would be easily worth it. What does Dr. Claire Weekes bring to the story that you wouldn’t experience if you just read the book? Claire is cool. She knows how to talk and you can hear compassion in her voice. This book is about acceptance. But acceptance is a precursor for overcoming anxiety. I type overcoming anxiety into google and many people confirm. Dr. Weekes advice has helped me more over the years than anyone or anything.. I'm thrilled that Audible has 3 of her gems and I can access them whenever I need them. Her treatment is, as she says - simple but not easy. This is so true. She really understood panic attacks, agoraphobia, and so much more. She has such a gentle, sweet way about her. I love her homey style and lovely Australian accent.I instantly calm down when I'm listening to her. I hope this helps someone else. Panic is so horrible to live with. Thank you, Audible for offering these gems. I wish Dr. Weekes was still alive. She was so underrated.